In contrast to Pope Francis’s call in June to phase out highly-polluting fossil fuels, Catholic Church authorities in the United States have been leasing out oil and gas drilling rights to energy companies, Reuters reported, suggesting that US Catholic authorities are departing from the pontiff’s preaching. In his encyclical – a letter sent to all bishops of the Catholic Church – Pope Francis warned of an “ecological conversion,” and said the fight against climate change has become an urgent moral issue. "Climate change is a global problem with grave implications: environmental, social, economic, political, and for the distribution of goods," the pontiff wrote. "It represents of the principal challenges facing humanity in our day." Yet, according to a Reuters review of county documents in Texas and Oklahoma, Catholic Church authorities have signed a total of 235 oil and gas leasing deals with energy firms since 2010. Leasing documents additionally revealed that Church authorities received royalties ranging from 15-25% of the total value of resources taken from the ground. Though the type of drilling is unclear, both Oklahoma and Texas have been at the forefront of a boom in US energy production through the controversial hydraulic fracturing method, known as fracking. The method involves injecting sand, chemicals, and water into the ground to crack open rock formations. Fracking has led to a surge in US energy production in recent years, however, it has also raised pollution and climate change concerns. Reuters’ review found that Catholic archdioceses in Texas and Oklahoma have signed energy deals with companies like Apache Corp, Cabot, Chesapeake, Devon Energy, and Range Resources, all of which have been active in the fracking boom. Catholic institutions in the US have made millions of dollars from these investments, according to the review. While the Pope’s encyclical warned of the dangers of climate change, the Vatican has no power over the investment decisions of US Catholic Churches. Such a responsibility is at the discretion of US bishops, and though there are guidelines warning against investments in companies related to abortion, contraception and tobacco, the energy market is completely open for US Churches. 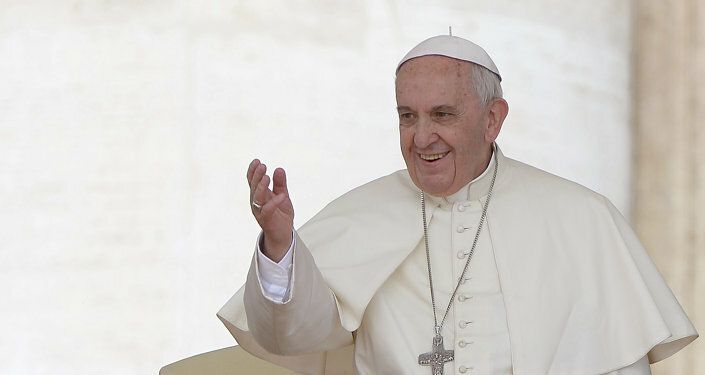 “There has been some inconsistency between what the Pope has said and what the Church is doing in US oil and gas country,” Mickey Thompson, a consultant and former director of Oklahoma Independent Petroleum Association, told Reuters. The most recent deal was signed by Oklahoma City Archbishop Pail S. Coakley, giving Comanche Resources the rights to operate on 160 acres in exchange for 18.75% of the resources produced. Coakley has also signed other deals in the past, receiving up to 25% in royalties. The Diocese of Forth Worth in Texas has received a total of $31,661 from leases signed in the fiscal 2015 year alone, suggesting a larger rift between the Church’s practice and the Pope’s campaign against climate change, as some of these leases were signed after the pontiff’s encyclical. "The way the leases are written it is very difficult to cancel a lease that is in production," Spokesman for the diocese Pat Svacina said. "The Diocese always reviews the viability and desirability of renewing a lease at the conclusion of a current lease." 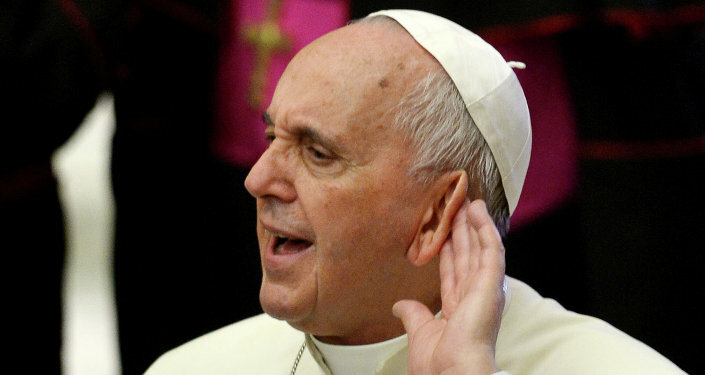 Meanwhile, the spokesman for the Archdiocese of San Antonio, which has been collecting energy royalties since the 1950s, said that the pontiff’s encyclical will not change any plans the church’s practice of signing leases with the energy industry. Though the Archbishop "is well aware of and deeply respects" the pope’s encyclical, Jordan McMurrough said "the archdiocese currently does not plan changes to its long-standing practice of granting oil and gas leases." The review comes as Pope Francis makes his first state visit to the US, where he is scheduled to make stops in New York and Philadelphia after his stay in Washington, DC. The pontiff will also deliver a historic address to a joint session of Congress, during which he may advocate for action on climate change.